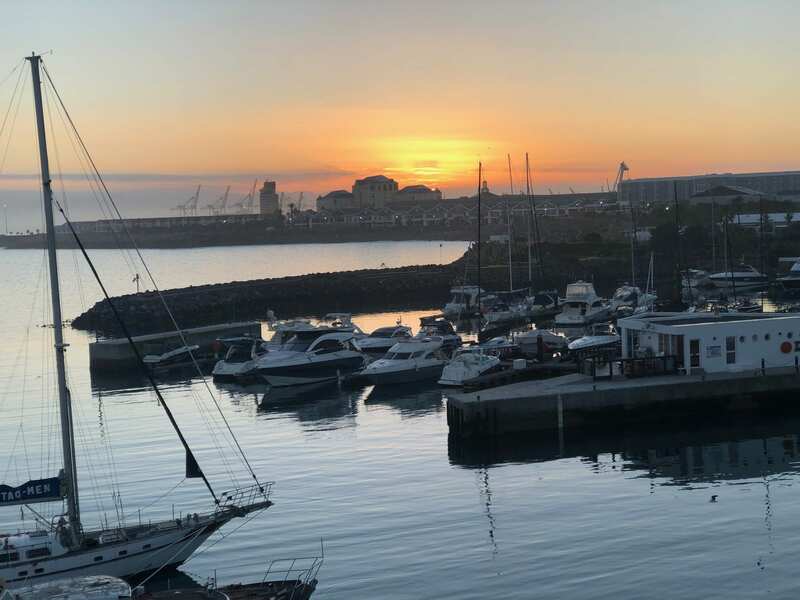 Take in views of the beautiful waters of the Atlantic Ocean and the private marina from the Radisson Blu Hotel Waterfront in Cape Town | Eat. Play. Drink. Cape Town. THE three most wonderful words in the English language we all want to hear? “I love you” and “you’ve lost weight” are right up there, but for the frequent traveller they are “you’ve been upgraded”. 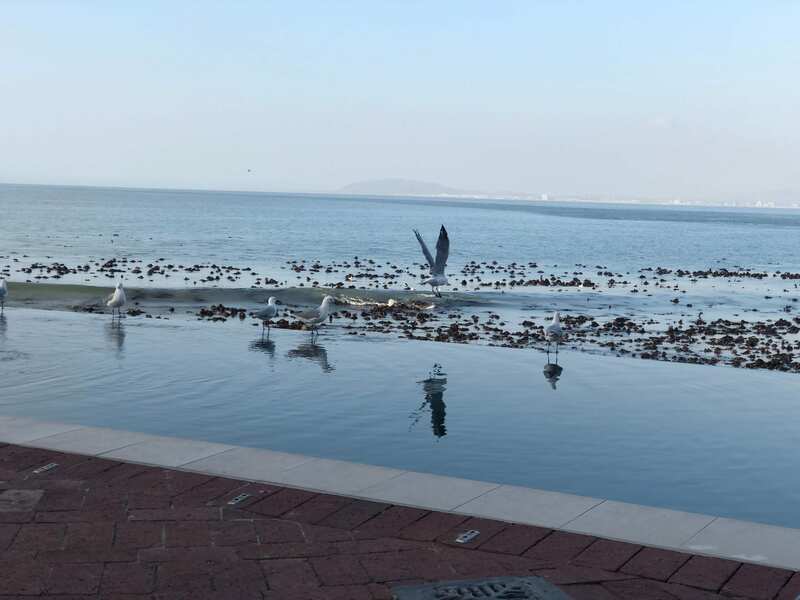 This is what happened when we checked in at the Radisson Blu hotel in Granger Bay, near the V&A Waterfront. 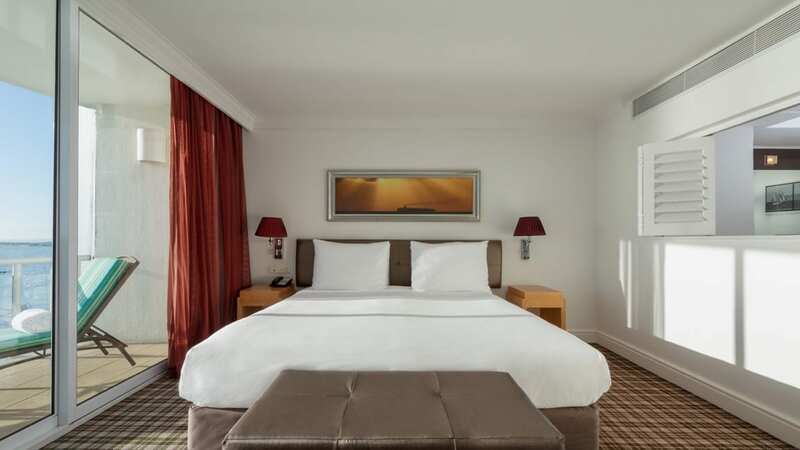 To be fair, even a standard room here is going to be perfectly acceptable – it will have all the essentials like bathrobes and slippers, free wifi, tea- and coffee-making facilities and a mini bar. Our two-bedroomed, two-bathroom suite, however, took it all to a whole new luxurious level. Those bedrooms and bathrooms were separated by a large open-plan lounge and kitchenette, ensuring much-appreciated privacy. Yes, my friend and I are close but we have vastly different sleeping habits and this meant we didn’t disturb each other with our nocturnal activities. The same cannot be said about the crack of dawn departure of a small boat with a disproportionately noisy engine which could be heard all the way from the harbour until it finally disappeared over the horizon – a painfully slow journey at that hour, exacerbated by the fact I’d gone out partying at a nightclub in the city until 3am (which is nobody’s fault but my own). Making the best of a not necessarily bad situation, there was a magnificent sunrise which I would otherwise have missed, and at least I could go back to bed. 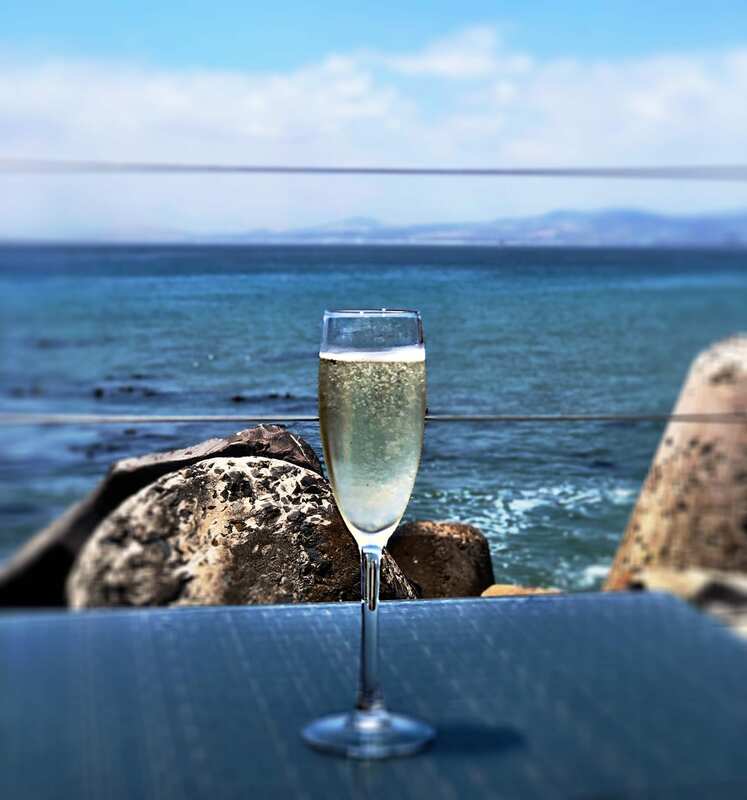 The wraparound balcony of the sea-facing suite, furnished with loungers, gave us a glorious 180-degree view, from the V&A Waterfront to our right, all the way across Table Bay to Robben Island in front, and disappearing into the Sea Point distance to the left. Immediately below is Tobago’s restaurant and terrace. It’s here you can begin your weekend stay with a fabulous Saturday brunch, served from 12.30pm (which to me, makes it more of a lunch than a brunch but let’s not quibble), weather permitting. 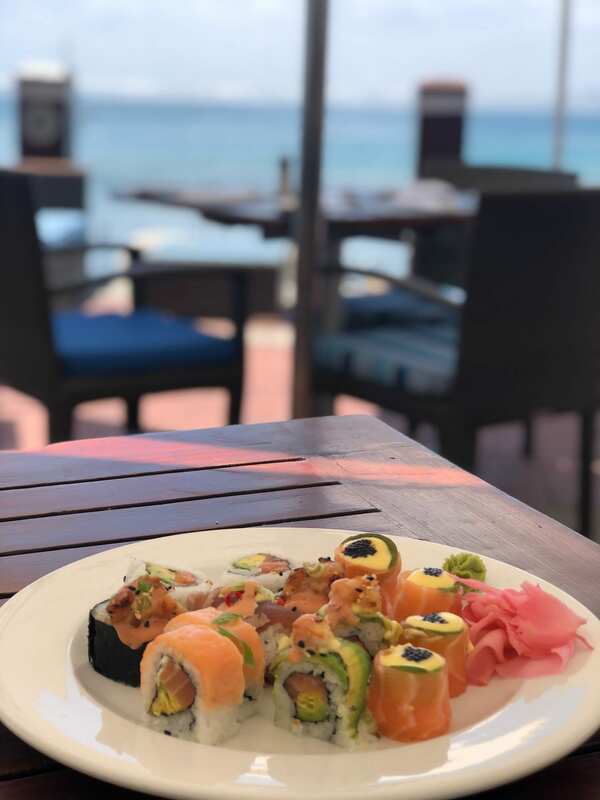 It includes a massive buffet for starters (the sushi guy is understandably very popular, as is the oyster station), followed by a choice of plated main courses, and ends back at the buffet for wildly wicked and decadent desserts. The entry level price throws in house wines, local beers, and soft drinks, while the upper tier adds cocktails and Prosecco. Everyone gets to enjoy the music; a DJ played the day we were there, and later in the afternoon, women in clingy catsuits and roller skates led everyone onto the dancefloor in retro disco style. He’s not wrong. The setting is amazing, whether you’re staying a night or longer, or simply there for a meal or one of AJ’s creative cocktails. It’s difficult to think of many more places which puts guest so close to the water’s edge they can feel the spray of the waves tickling their faces. Amenities on-site are plentiful, from the rim-flow swimming pool which the seagulls arrogantly treat as their own when the humans have retreated at dusk or dawn, to the Amani Spa where we wrapped up our stay with relaxing foot massages and herbal tea. 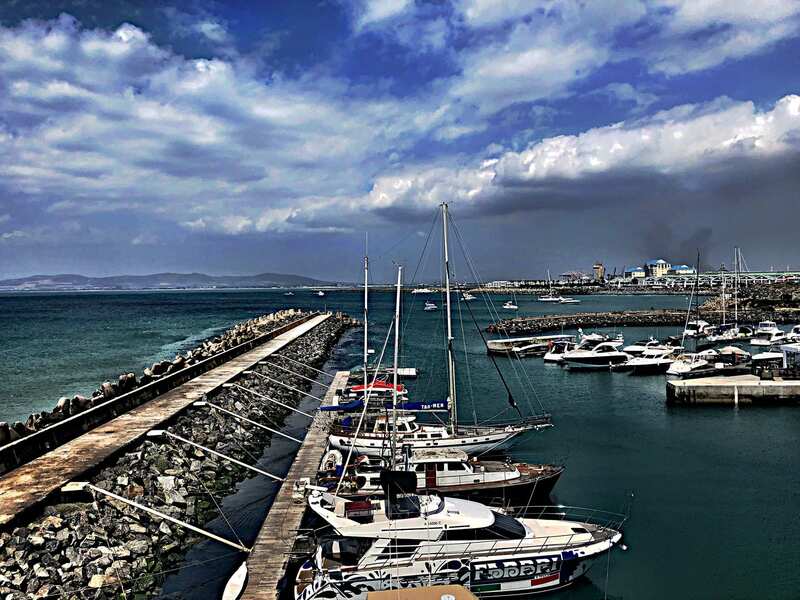 The V&A Waterfront is almost on the doorstep, an easy walk from the hotel. When returning with bags of shopping, perhaps it’s a better idea to hop on the free shuttle. If you are staying in one of the suites, you can do a spot of shopping at the Oranjezicht City Farm market, and bring back some delicious goodies to enjoy in the comfort of your apartment. Another option would be to sample the host of yummy artisanal treats and meals right there and then; vegans and vegetarians, raw foodies, and customers who want wheat, gluten, sugar and dairy-free alternatives, are all catered for. The market is open every Saturday and Sunday 9am till 2pm and 3pm respectively, and entrance is free.